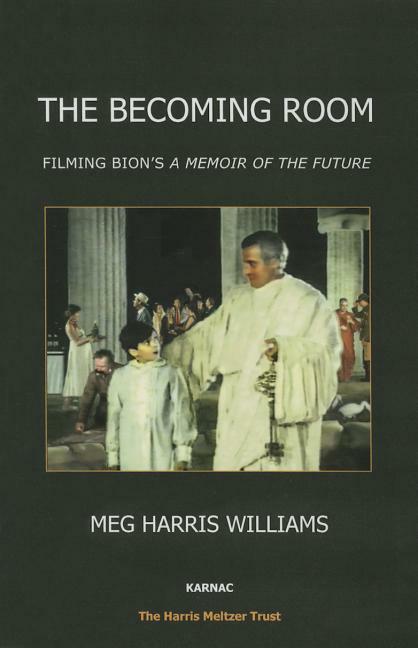 The contents of this book represent a series of experiments in dramatizing Bion’s Memoir of the Future, the primary one being an unfinished film begun in India in the 1980s and directed by Kumar Shahani, 'epic' artfilm maker, most of whose films have been produced in Hindi. The film was inspired and initiated by Bombay psychoanalyst Udayan Patel, and sponsored by the Roland Harris Educational Trust. The cast of actors included Jalal Agha, Tom Alter, Robert Burbage, Nicholas Clay, Neil Cunningham, Carol Drinkwater, Peter Firth, Nigel Hawthorne, Shona Morris, Jonathan Page (as a child), Angela Pleasence, Juliet Reynolds, and Alaknanda Samarth. The filmscript and a commentary are here included, together with a narrative poem written for Alaknanda Samarth who played the Ayah of Bion’s childhood, and a playscript written for Tom Alter who played the Father. The play is due to be first performed in Bombay and Delhi in February 2016. An appendix reprints a psychoanalytic study of the Memoir by Donald Meltzer, who was closely involved in the production of the original film. The book is illustrated by screenshots from the film and the ebook contains video extracts. Meg Harris Williams, a writer and artist, studied English at the Universities of Cambridge and Oxford and art at the Accademia di Belle Arti in Florence, and has had a lifelong psychoanalytic education. She has written and lectured extensively in the UK and abroad on psychoanalysis and literature, and teaches at the Tavistock Centre in London, and the University of Surrey. She is married with four children and lives in Farnham, Surrey.